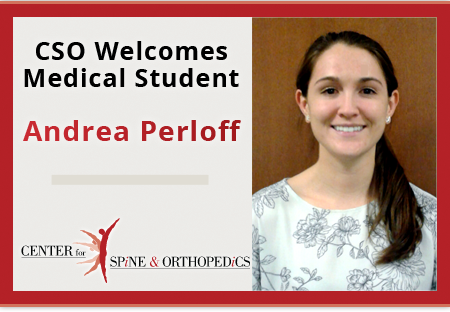 Please join us as we welcome Andrea Perloff to CSO. Andrea is currently a 3rd year med student from Kansas City University. In the past, Andrea has been involved with the Peace Corps. She entered our office with eagerness to expand her knowledge and continue to broaden her medical career. Andrea will be with us until Friday, Dec 14th.